Another obstacle to consider is the tedious education to undertake if you want to know how to and how not to start and maintain a business. Given these many challenges people face just to bring it all together to start their own businesses, the intimidation alone can dissuade anyone from even beginning. So what is the point of reaching the finish line if you can’t even clear a single hurdle? Or maybe you’re just going at it the wrong way? Perhaps you don’t have to clear those hurdles or even race at all. 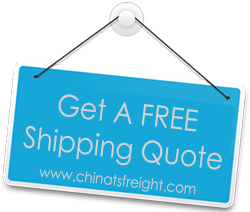 There are other alternatives to acquiring a freighting business. One way is buying an established freight company. Of course, this isn’t as easy as it seems. An established freighting business can cost from several hundred thousand dollars to several millions of dollars to purchase. But just imagine the hurdles that you would have sidestepped with this method. Most or even all of the assets would already be assembled for you — all wrapped up in a neat bow. If you have the money to invest, you can get in contact with a business broker who can provide the necessary research and advice on which businesses to acquire. While it is true that starting a business is risky, it doesn’t have to seem impossible.